The economic and cultural history of the Coos Bay area is one of change, transition, and response to events frequently far beyond local control or influence. Current socioeconomic and envioronmental conditions can’t be understood without at least some comprehension of what has occurred before today. Archeological evidence and oral traditions of Coos Bay’s Native people suggest resilient human cultures persisted and evolved through ecological, economic, and sometimes catastrophic changes occurring over the past 6,000 – 10,000 years. To know anything about the culture of a place and the people who inhabit it- whether a cursory description of past circumstances and happenings, or a close examination of a particular past condition- requires some understanding of what encouraged or enabled human occupation and livelihoods in the first place. The following narrative is not a comprehensive explanation of the Coos estuary’s many past and present cultural influences. Rather, it is a broad and general description of the significant events and circumstances that influenced the settlement and development of the Coos Bay estuary and its environs since the early 1800’s; all of them contributing in some way to the current economic and cultural landscape. The bibliography found at the end of this chapter provides the reader a selection of published literature that elaborate many of the events and episodes mentioned herein. The modern history of the Coos Estuary begins in January 1852 with a shipwreck on the North Spit. The crew and soldiers of the Captain Lincoln salvaged the cargo of the grounded vessel and made camp (which they named Camp Castaway) for several months until they were discovered and rescued. The accounts of the shipwreck survivors and the rescuers about this newly discovered place told of bountiful timber resources, fertile agricultural lands, friendly Natives, and a natural harbor. 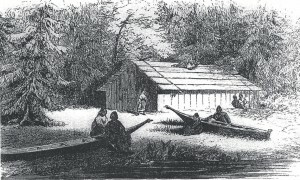 In 1853, led by one of those rescuers, a group of speculators calling themselves the Coos Bay Commercial Company established Empire City, almost directly across the bay from the Camp Castaway location; and virtually in the middle of the hanis Coos Indian village that had kept Camp Castaway alive the year prior. Soon after, other speculators and industrialists came to stake their claims to the shores and resources of Coos Bay; and with them came the industrial, agricultural, and political ideals of America’s emerging capitalist economy. Two earlier explorations by Euro-Americans into Coos Country have been written about: both offering only brief and scanty reports about the Native inhabitants and their habitations in the Coos Bay region. Alexander McLeod of Hudson Bay Company sojourned here in the winter of 1826; and Jedidiah Smith, an agent of the American Fur Company, traversed the country in July 1828. Both reports imply the presence of pre-existing and well-established travel routes to the north and south and into the interior; numerous “villages” that spoke differing languages and dialects; and Native people who seemed already familiar with foreigners and foreign goods, who were willing, if not eager for trade. McLeod was looking for beaver. Smith was herding 300 horses from California to Fort Vancouver on the Columbia River. Americans and earlier Euro-American adventurers were clearly not the first humans to travel through, settle, or exploit the abundant and fertile natural resources of the Coos estuary and its environs. The remnants of ancient fish traps, shell fish harvesting sites, and residential locations on Coos Bay are dated by archaeologist to at least two thousand years before present. Older archaeological sites (6-10 thousand years before present) are well documented to the north and south of the estuary, supporting assumptions of similar older human occupations at Coos Bay; the evidence likely buried in deep estuary sediments caused by upland erosion; by sea-level rise and subsequent river valley in-filling; and by Cascadia earthquake and tsunami events. 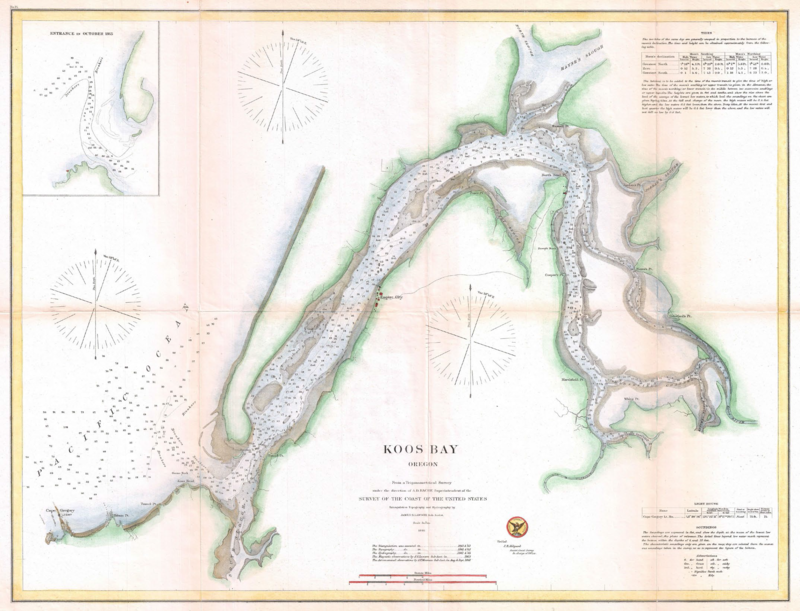 Map showing the entrance to “Koos Bay” circa 1862, prior to building of the jetties. 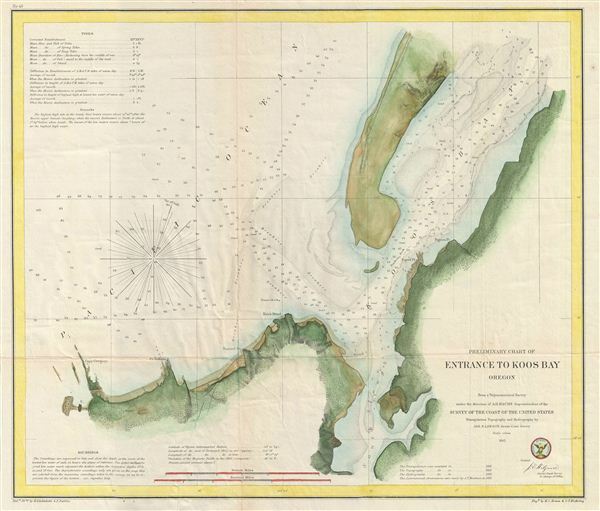 Map drawn by the U.S. Coast Survey. As the 20th Century began, daily life and industry on Coos Bay remained dominated by water transportation, although new overland routes to the interior were being explored and in some cases completed. A “mosquito fleet” of small boats plied up and down the bay carrying people and goods from town to town along the lower bay and produce and people from upriver farms to downtown markets and processing plants. Ferry boats made trips from downtown into the upper reaches of the estuary for Sunday picnics and summer time camping excursions. For those who could afford them, skiffs powered by gasoline motors were the private automobiles of the day. When the Southern Pacific Railroad from the Willamette Valley to Coos Bay was completed in 1916, Coos Bay’s economy took on new dimensions. Although merchant vessels still carried goods to San Francisco markets, Coos Bay now had ready access- and accessibility- to Portland and Willamette Valley interests. The railroad replaced passenger stage routes into the Willamette and Umpqua valleys, and along the rail route, new opportunities opened up for moving logs and lumber to mills and market. But as new economic possibilities emerged, old industries disappeared. After the 1906 earthquake, San Francisco made fuel oil and gas the preferred energy for its street lights, manufacturing, and residential purposes; and coal mining on Coos Bay began to end. The railroad also brought ambitions to deepen the harbor to accommodate newer and deeper-draft cargo ships. Jetties were lobbied for, as well as large scale channel and harbor deepening projects. 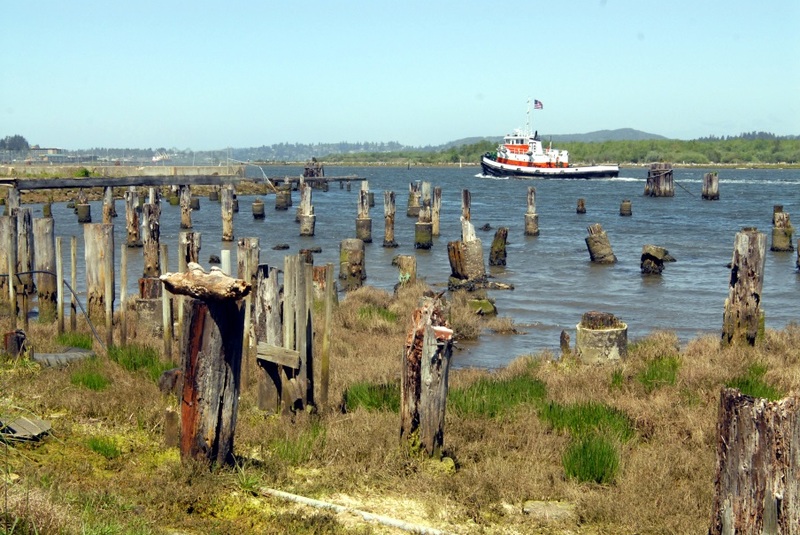 By the end of the 1930’s, in spite of a World War and the Great Depression, the Coos Bay bar had both jetties, and the harbor could now handle those deeper draft vessels. And with larger ships now calling, and with rail access to the interior, lumbering became even more dominant in the local economy, attracting even more significant national and international interests and speculation. A deeper harbor and safer bar also created a safe harbor for smaller vessels, and Coos Bay soon became home to a commercial fishing fleet and several fish processing docks and canneries. Salmon and crab became new commodities to ship from Coos Bay- in fully processed canned tins or as minimally processed fresh goods leaving town in refrigerated rail cars. Similarly, dairy production and processing took on bigger scales- and new markets- as rail and maritime shipping facilities became improved. Spoils from upper bay dredging projects were pumped or dumped into and onto previous tidal sloughs and mudflats for new high ground upon which business districts and mill sites could be expanded; and where sometimes new residential neighborhoods were built. Dredge spoils also became material for dikes along upper estuary shorelines; later to become roadsteads as local transportation by water gave way to automobiles and trucks. These and later dredging projects- along with the wood waste of sawmilling- filled in as much as 80% of the estuary’s pre-industrial tidal and inter-tidal mudflats, sloughs and marshes by the 1960’s. As the 1930’s ended, the North Bend Airport had been expanded and improved (again with the aid of dredge spoils); the Oregon Coast Highway (later named Highway 101) and its several bridges were complete, making a modern all-weather thoroughfare connecting all of Oregon’s coastal towns from Astoria to Brookings. The “Coos Bay Bridge” (later renamed McCullough Bridge) replaced the Glasgow Ferry in 1936; and as arterial highways to the interior also became improved, recreational auto travel and tourists from interior towns and cities began to visit. Although World War Two and the few years immediately following were “boom times” for the Coos Bay region, the early 1950’s re-established the cycles of boom and bust in the local economy. 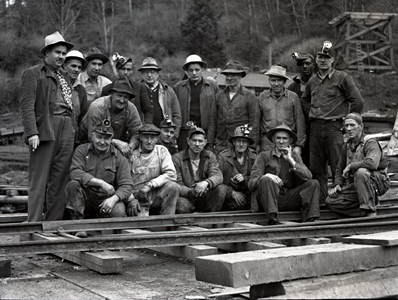 Once myriad independent sawmill and logging companies became fewer; and when Weyerhauser opened its North Bend lumber manufacturing plant in 1951, many of the remaining “gyppo” logging and mill owners soon sold out and went to work in the new big mill. Others became the cutters and fallers and truck drivers began the harvest of Weyerhauser’s 200-plus thousand acres of Coos River old growth forests- most of it purchased decades previously. 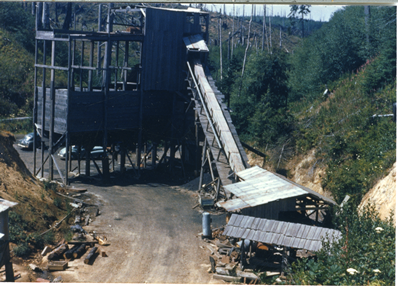 In 1956, Georgia-Pacific bought the Coos Bay Lumber Company and its “big mill,” which prior to the start-up of Weyerhauser’s North Bend operations, had been the largest mill and employer on the bay. 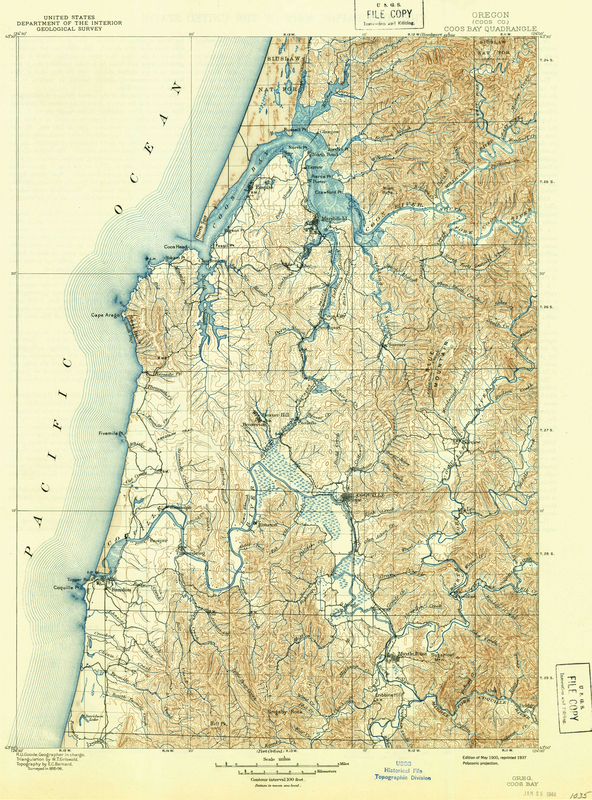 Georgia Pacific acquired mills, transportation links (rails, roads, docks) as well as 120 thousand acres of prime timberlands mostly south of Coos Bay, in the Coquille River basin. 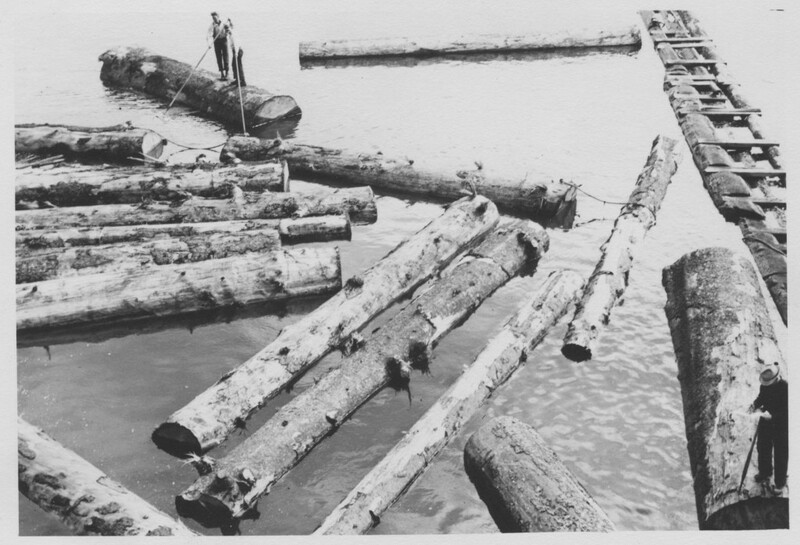 Rail transport was soon moving lumber and plywood produced at mills on the Coquille to Coos Bay, for export by rail and ship to U.S. and foreign markets. The outputs of “Weyco” and “G-P” (as they became called), along with that of the Menasha Corporation (previously Menasha Wooden Ware Company) and a few smaller timber companies with sufficient holdings and capacity, soon made Coos Bay the “lumber shipping capital of the world.” But even in the face of the prosperity of good jobs, the subsequent bustling retail and commercial trade, and lots of taxes going to county and municipal governments, local observers made note (in spite of proclamations to the contrary) that the volume of timber harvest was not sustainable. That is: existing timber was being cut faster than what the next generation of forest could replace before the “old growth” ran out. In effect, some were saying that when the trees ran out, so would the good times. Nearly all aspects of Coos Bay’s business and civic landscape changed in the 1980’s; including the complexion of waterfront uses, and in some ways, the complexion of the estuary itself. More than 100 years of successive natural resource extraction and exports came to end. Mills not only closed, they were dismantled and torn down; docks and piers and log yards became derelict and decayed. Many businesses that had served those industries and enterprises and their workers for generations also ended or were substantially diminished. Retail stores closed. Jobs were gone. Unemployment and family poverty soared. People left town. Coos County’s population declined significantly between 1980 and 1990. Since 1990, the population of the Coos Bay region has remained virtually unchanged, but not so its demography. The population became older, reflecting both national population trends, and the immigration of retirees and semi-retired professionals. The absence of “family wage” jobs to attract and retain younger adults and families also contributed to that aging; as did the out migration of post-high school young people for employment and education opportunities elsewhere. The concepts of “industry” changed as well. 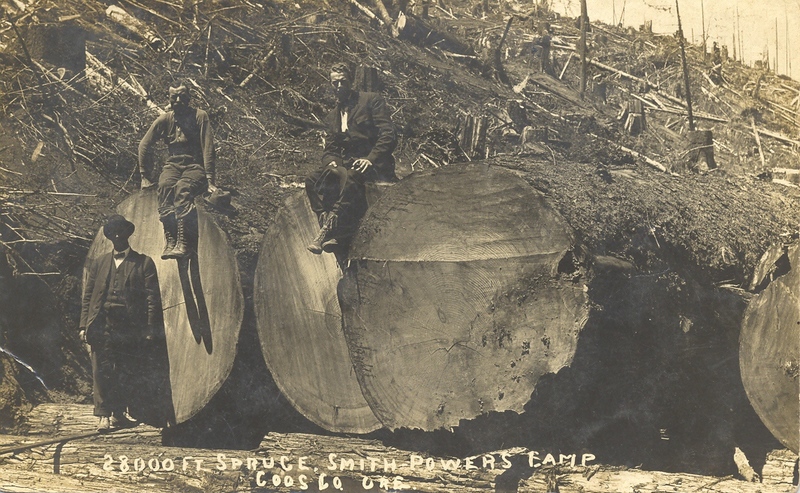 Although forest products remained a contributor, the service industry became the majority jobs provider. Tourist and hospitality services, medical and retirement facilities, outdoor recreation businesses, and Tribal casinos became dominant employers. Commercial fishing, boatbuilding and fish processing plants still provided jobs, although “fishing” in all aspects became highly regulated. As water quality of the estuary improved, oyster aquaculture expanded; and recreational salmon fishing on the estuary during late summer and fall became a cottage industry in its own right. In 2015, more than 160 years have passed since the initial American settlement and development of the Coos Bay estuary. As much as technology and successive waves of corporate investments may have transformed some of its aspects, Coos Bay still remains- at least as some past observers characterized it- “a remote outpost on the frontiers of civilization.” Although all the attributes of modernity exist: a railroad, an airport, highways to the interior, and a deep draft shipping harbor, none are primary routes to the major cities and industrial manufacturing and distribution centers of the Pacific Northwest. Highway 101 and its arterials are not freeways; rail transport is limited to 10 miles per hour; the airport is not a connector for even regional travel; and though it is deep draft, the Coos Bay harbor is constrained by a narrow shipping channel and very few deep draft wharfs with adequate uplands upon which to build terminal or trans-loading shipping facilities. These factors may have limited industrial developments in the past, and may continue to do into the future- especially in the absence of large-scale industrial sites and infrastructure. On another hand: Coos Bay’s temperate year-round climate; its year-round outdoor recreational opportunities; its full complement of commercial and retail and medical services; it close proximity to the spectacular and scenic natural beauty of nearby ocean beaches and rugged coastlines (some say rivalling or surpassing the California’s “Big Sur”); and an environment that is (as a recent local Garden Club meeting proclaimed) still “green, clean, and pristine” are bring increasingly more leisure and recreational tourist visitors. These same attributes are also the attractants for the continued growth of a retired and semi-retired residential population. At this writing, Coos Bay’s future economy and cultural identity prospects are of several parts: Bandon Dunes Resort is planning more golf courses elsewhere on the south Oregon coast, which surely will bring even more jet traffic to the North Bend airport. The journals of the earliest sailors, explorers, and settlers into the Coos region, the oral traditions of its Native peoples, the oratory of local historians and promoters, the discoveries of scientific inquiry, all argue that the economic and cultural history of the Coos Bay estuary is one of change, transition, and response to events frequently far beyond local control or influence. Sea levels have risen and fell many times since first humans arrived here. Cataclysmic earthquakes and accompanying horrific tsunamis have erased old shorelines and evidence of previous human habitations. Since 1852, industrial manipulation and exploitation of its natural systems and processes also imposed changes to the estuary, and as the vestiges and evidence of past industries slowly disappear, the estuary is changed once again; offering instructions to its observers about how things used to be, and might become. The oral histories and traditions of the local Hanis and Miluk Kusan Indians recall a character called “Old Man Talapus” or sometimes “Old Man Coyote.” Depending on the purpose and context of the stories in which he appears, Talapus-Coyote is either the mythological “Creator” of the world and all that is in it, who then leaves humans to their own devices; or He is a persistent and omnipresent “Trickster” operating in the world today, who one way or another- through various mischiefs- persuades the People’s behaviors in order for them to learn and to know certain things. 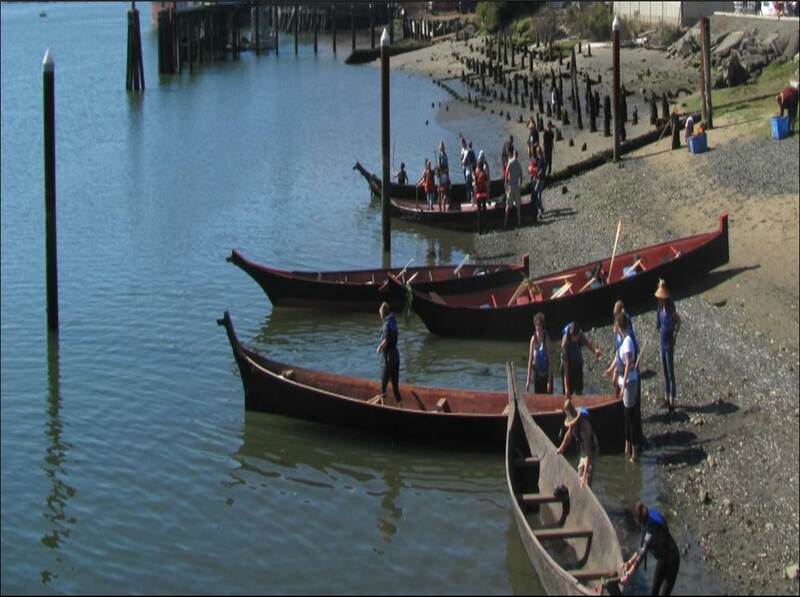 Besides archaeology, the oral histories of the two Indian Tribes who reside on Coos Bay today also speak to the Coos estuary as a place of transition and trade between often far distant cultural groups and economies. 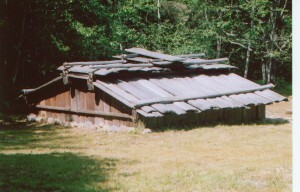 The traditions of cedar plank houses, “Chinuk”-style canoes, basketry techniques, ceremonial practices, and the presence of several Native languages were all present at the time of first American settlement: all evidence of extensive long distant and long-standing trade networks and multi-cultural Native societies. Combined, the science of archaeology and the oral traditions of the Native people who live on Coos Bay today speak to resilient and adaptive human cultures that persisted and evolved as environmental, ecological, economic, and sometimes catastrophic geological changes occurred over the millennia. The Coos Bay Commercial Company brought with it two aspects of commerce that have persisted in the local economy ever since: immigrants into the region with aims to exploit and extract natural resources for economic value; and those who came to provide the goods and services those enterprises needed. 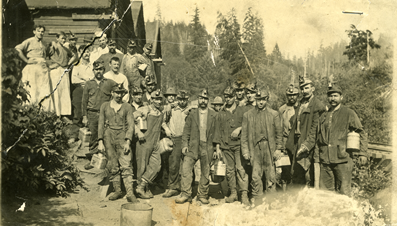 Gold prospecting and coal mining and shipbuilding brought the initial wave of investor capital and speculators to the Coos region; followed close behind by sawmill operators who to make lumber and timbers for industrial infrastructure, housing for laborers and immigrant settlers, and buildings for the subsequent commercial and merchant trade. And behind them, came farmers and ranchers. 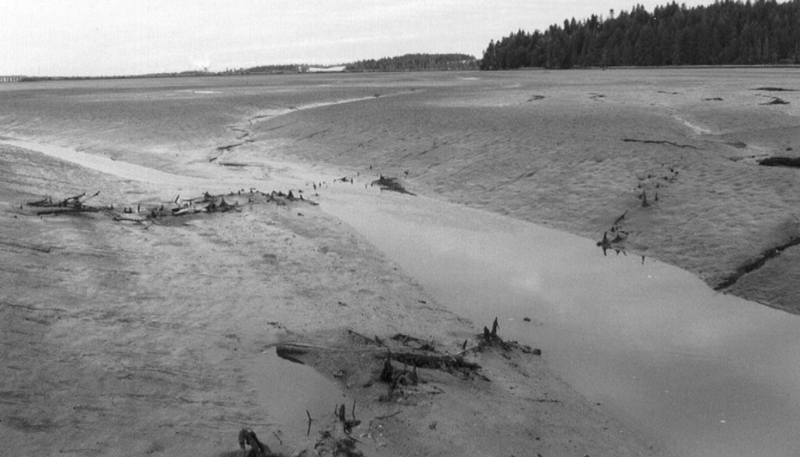 Although Coos Bay offered a viable harbor for ocean going ships of that era, its extensive mudflats and shallow estuary sloughs and inlets limited early wharfs and docks to places along the shore that were close to deep water that also offered immediate access to non-tidal uplands. Thus, early developments on the bay centered at Empire City and North Bend and Marshfield. As coal mining and sawmilling grew, and as more speculators arrived, so did needs for additional wharfs and docks. Pilings soon stood in mudflats to support piers, gangways and rail trestles reaching over wide expanses of mudflats, all for access to deep water. Similarly, upper reaches of the estuary and its tidelands and tidal reaches became settled; also becoming diked and drained as agricultural pursuits took hold. If not sold locally to the growing populations around the estuary- as was coal and lumber- the markets of San Francisco were the destination for early Coos Bay orchards and crops. By 1900, channel dredging began to happen; both to serve ocean-going vessels during all tides, and to provide source material to make new lands above high water. Dredging spoils also made high ground for boat landings for emerging neighborhoods and town sites growing up near the mines and mills and pasture lands. With very few good all-season roads locally, and even fewer year-round routes to the outside world of the Umpqua and Willamette valleys, the emergent neighborhoods and towns on the Coos estuary depended on Coos Bay waters as the primary connection to the outside world; oriented almost entirely to San Francisco. Similarly, nearly all internal economic and community purposes made the waters of Coos Bay the life line and travel routes for virtually every aspect of local economic, community and social life. Eventually, those predictions came true: old growth forests once deemed inexhaustible and sustainable in perpetuity even as late as the 1940’s, were in fact nearly completely exhausted as the 1980’s began. Similarly, the once abundant and also seemingly “inexhaustible” commercial salmon fishery saw its apex and decline between the 1950’s and 1980’s. Though purse seining and gillnetting on the estuary had ended decades prior, and in spite of intensive hatchery efforts on Coos Bay tributaries since the early 1900’s, by the 1980’s salmon stocks were in serious decline. Over-harvest by commercial and recreational fisheries were part of the problem. But so too were the accumulated effects of decades of expedient and primitive logging practices, upriver splash-damming, and log rafting and storage on the tidal bay. Too, the filling-in of estuary marshes and tidelands for agricultural and commercial purposes, and toxic run-off from industrial and municipal sources were other factors contributing to Coos Bay’s salmon problem. It would be in later decades, and as the result of scientific research conducted by Oregon Institute of Marine Biology (permanently established 1966) and South Slough National Research Reserve (permanently established 1974) and others, that variable ocean conditions and migration patterns; as well as estuary water quality and loss of habitats were also contributors to the health and abundance of all Coos Bay and Pacific coast fisheries, including salmon. Bandon Dunes Golf Resort opened in the late 90’s, and by 2015 had grown to a complex of five “world class” links-style golf courses with complete resort amenities. As wealthy golfers from around the world came to play at Bandon Dunes, charter and private jet airplane traffic at North Bend Airport grew from less than 50 to more than 5,000 landings per year. Tribal Governments emerged. The Confederated Tribes of Coos, Lower Umpqua and Siuslaw Indians regained federal recognition in 1983; the Coquille Indian Tribe in 1989. Both Tribes chose to headquarter in Coos Bay and North Bend respectively; and both now operate health, education, and social programs for their tribal communities as well as other Natives and segments of the local non-native population. Along estuary shorelines, vacant mill sites and shipping wharfs became new kinds of places. Neglected docks and pilings became habitats for estuary wildlife shorebirds and fishes. Boardwalks replaced industrial tramways along city waterfronts. Hotels, RV parks, a Tribal casino, a public museum and boat ramps and parks became new uses of former sawmill, coal bunker and lumber yard sites. Where log booms once covered them, tide flats and inter-tidal marshes re-emerged to become destinations for recreational clam diggers, birdwatchers, and canoe and kayak enthusiasts. Vestiges of the industrial past still persist, although much diminished in size, in numbers, and in frequency of use. Logs are still processed for export to foreign countries, sawmills still operate, ships still load wood chips for Japan’s pulp and paper mills, and the railroad still carries away lumber and plywood destined for national and international markets. So too: foreign investors, local land speculators, and civic leaders still tout the advantages of Coos Bay as the “only deep water harbor between San Francisco and Puget Sound” all promoting and awaiting the next big industry that might bring new jobs, prosperity and a vibrant future to Coos Bay and the Coos region. The Port of Coos Bay champions a liquefied natural gas export facility on the North Spit that may provide impetus for upgrades to rail and harbor facilities, which may attract ancillary manufacturing and shipping facilities. Both local Tribes are expanding their respective land bases and businesses, including commercial timbering and agriculture and visitor/convention/tourism venues. But prospects of an eventual robust and prosperous economy- however it might occur- does little in the moment to help local municipalities deal with present circumstances: wastewater treatment facilities need critical maintenance and upgrades; streets suffer from decades of deferred repairs and improvements; local tax bases barely cover the costs of public safety and emergency services; and the shop worn appearances of downtown business districts hint every day of an economy that is surviving, but clearly not thriving. Either way, the stories are reminders of a world that is always subject to change. Dodge, O. 1898. Pioneer History of Coos and Curry Counties, OR: Heroic Deeds and Thrilling Adventures of the Early Settlers. Capital Printing Company: Salem, OR. Peterson, E. R., and A. Powers. 1952. A century of Coos and Curry: history of southwest Oregon. Binfords & Mort: Portland, OR [for] Coos-Curry Pioneer and Historical Association, Coquille. Zybach, B. and D. Ivy. 2013. Coquelle Trails: Early historical roads and trails of ancestral Coquille Indian lands, 1826-1875. Whereat, D. 2011. The Confederated Tribes of the Coos, Lower Umpqua and Siuslaw Indians: Our Culture and History. Newport, Oregon. Beckham, S. D. 1973. 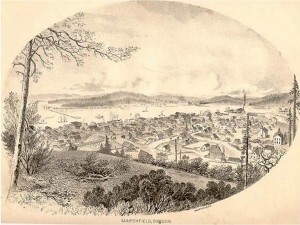 Coos Bay: the pioneer period, 1851-1890. Arago Books: Coos Bay, OR. Douthit, N. 1999. A guide to Oregon south coast history: traveling the Jedediah Smith Trail. Oregon State University Press: Corvallis, OR. Tveskov, M. A. 2000. The Coos and Coquille: a Northwest coast historical anthropology. University of Oregon: Eugene, OR. Douthit, N. 1981. 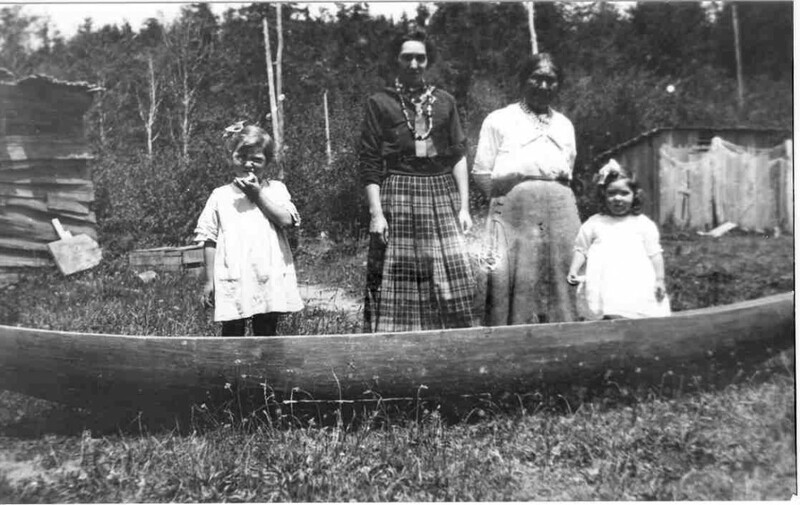 The Coos Bay region, 1890-1944: Life on a coastal frontier. River West Books: Coos Bay, OR. Mahaffy, C. L. 1965. Coos River echoes: A story of the Coos River Valley. Interstate Press: Portland, OR. Caldera, M. 1995. 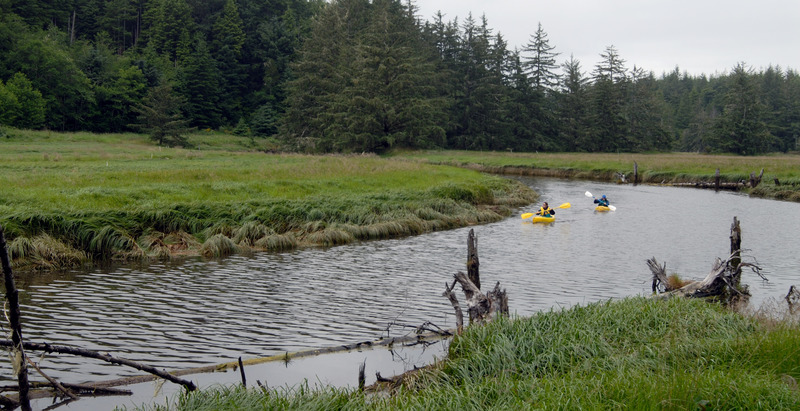 South Slough Adventures: Life on a Southern Oregon Estuary. Friends of South Slough, South Coast Printing Company: Coos Bay, OR. Beckham, D. 1995. Stars in the dark: Coal mines of southwestern Oregon. Arago Books: Coos Bay, OR. Beckham, D. 1990. Swift flows the river: Log driving in Oregon. Arago Books: Coos Bay, OR. Allen, J. E., Baldwin, E. M., Curran, M. D., & Reichers, M. 1944. Geology and coal resources of the Coos Bay quadrangle, Oregon. Oregon Department of Geology and Mineral Industries, Portland, OR. Smyth, A. V. 2001. Millicoma: Biography of a Pacific northwestern forest.FOREST, 53. Lansing, W. A. 2005. 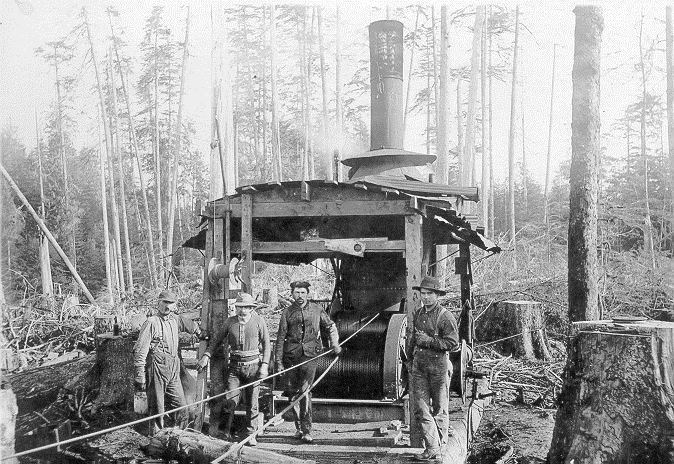 Seeing the forest for the trees: Menasha Corporation and its one hundred year history in Coos Bay, Oregon, 1905 to 2005. Monroe Press: Eugene, OR. Robbins, W. G. 2006. Hard times in paradise: Coos Bay, Oregon. University of Washington Press: Seattle, WA. Sandine, A. 2003. Plundertown, USA: Coos Bay enters the global economy. Hancock House: Surrey, B.C. Johnson, B. 2013. Beyond the Dream: Bandon Dunes. Johnson Street Publishing: Portland, OR. Tveskov, M. A., and J. M. Erlandson. 2003. “The Haynes Inlet weirs: estuarine fishing and archaeological site visibility on the southern Cascadia coast”. Journal of Archaeological Science. 30 (8): 1023-1035.